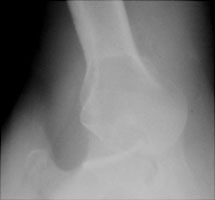 Posterior dislocations of the humerus account for less than 5 % of shoulder dislocations and are usually due to direct force. Classically, the causes are seizure or electric shock. The axillary view is the best view to demonstrate this type of dislocation. 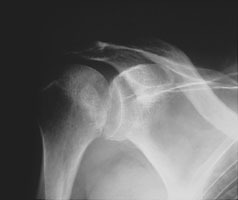 A AP radiograph of the right shoulder. A cursory examination reveals no obvious dislocation. B Axillary radiograph. Notice the anterior coracoid with the posteriorly dislocated humeral head relative to the glenoid.